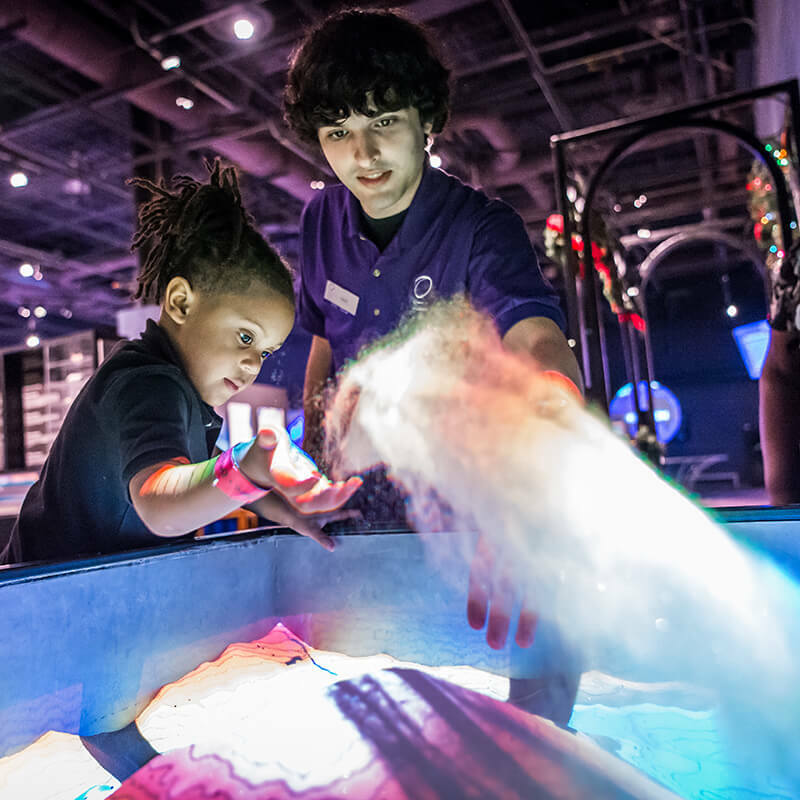 Bring your school or organization to the Science Center for hands-on learning and fun! Daytime and evening options are available. 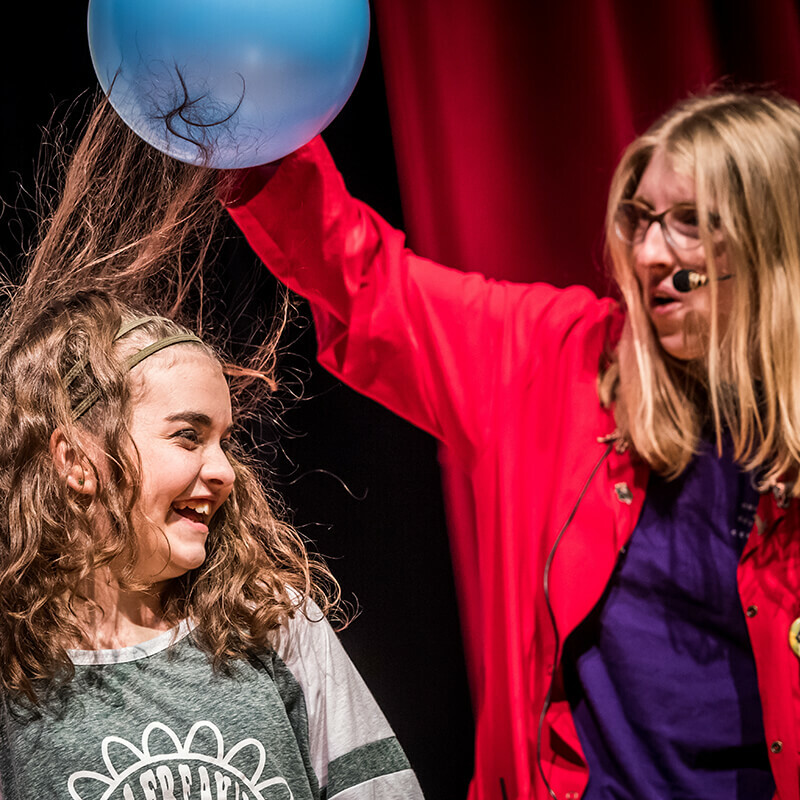 Give your students an exciting day they won’t forget! 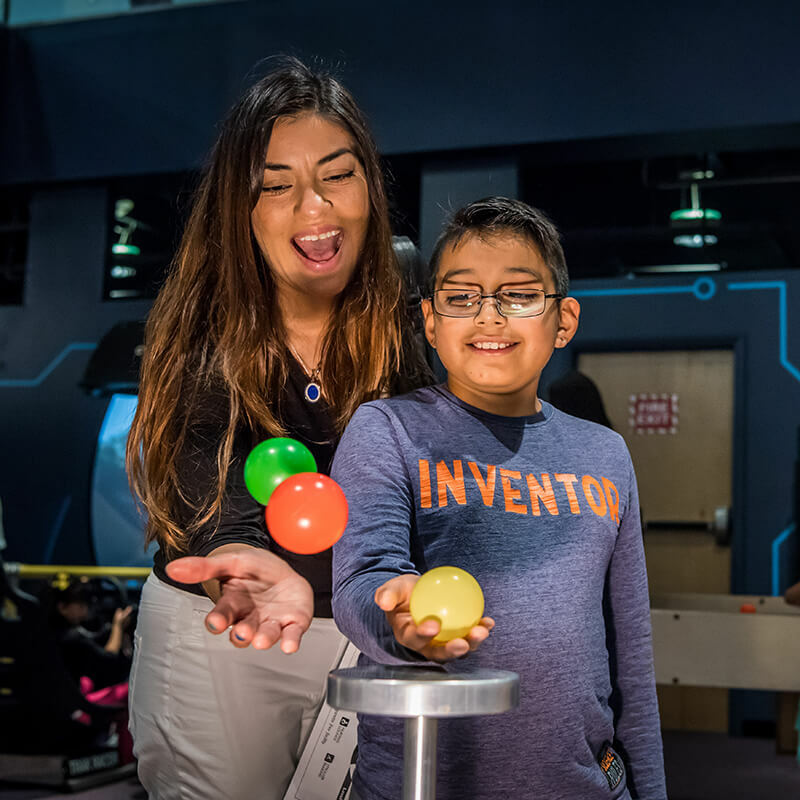 During a field trip to Orlando Science Center, your students will enjoy experiences like state standards-based lab workshops, live shows, exhibit hall exploration, films, and more. 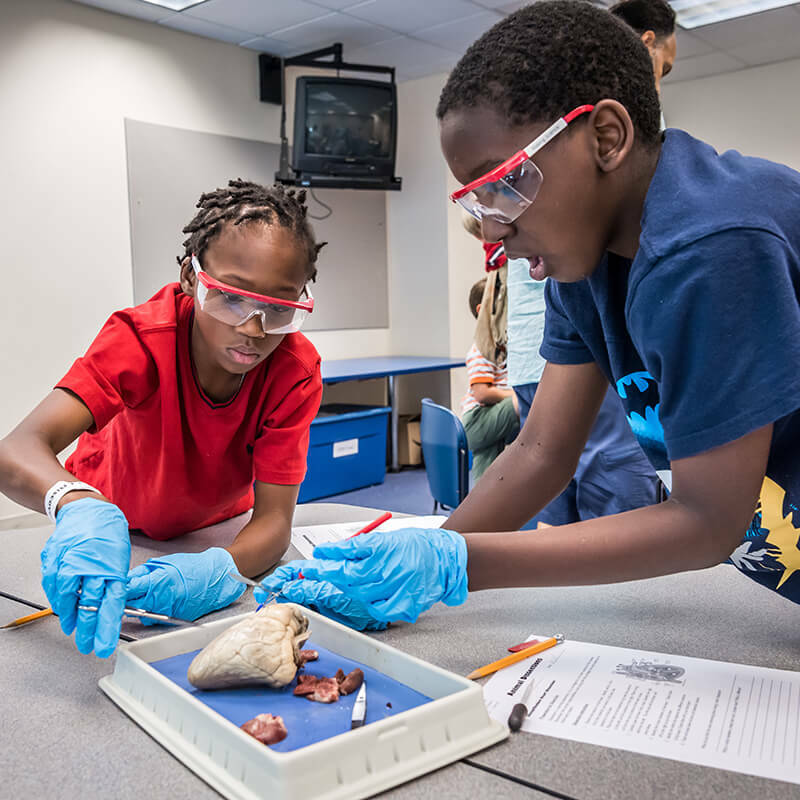 Research has shown that participation in museum-based science education programs can significantly increase students’ excitement, content knowledge, motivate them to pursue additional science learning opportunities, and improve their self-confidence in science ability. 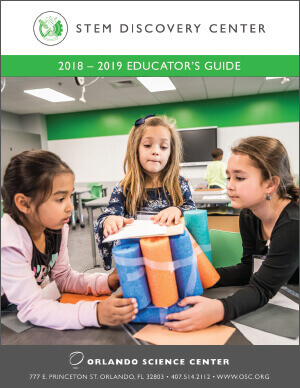 Different program options are available to fit your needs and achieve your students’ learning goals. Visit during the day, in the evening, or even overnight on a weekend! $12.50 per student and adult. 1 free adult included for every 10 students. Have the entire Science Center to yourself for 3 hours in the evening! Flat rate: $2,750. 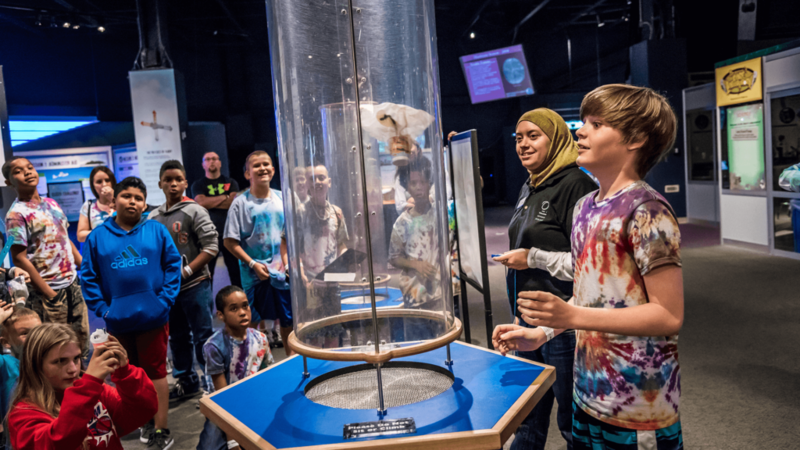 For groups of 220 students or more, Celebrate Science Nights are less expensive per person than a daytime field trip. Have the entire Science Center to yourself from 6 p.m. to 9 a.m.! $47 per student; $37 per adult. 1 free adult included for every 10 students. Includes dinner and breakfast, exhibit halls, film, a live show, and observatory viewing. 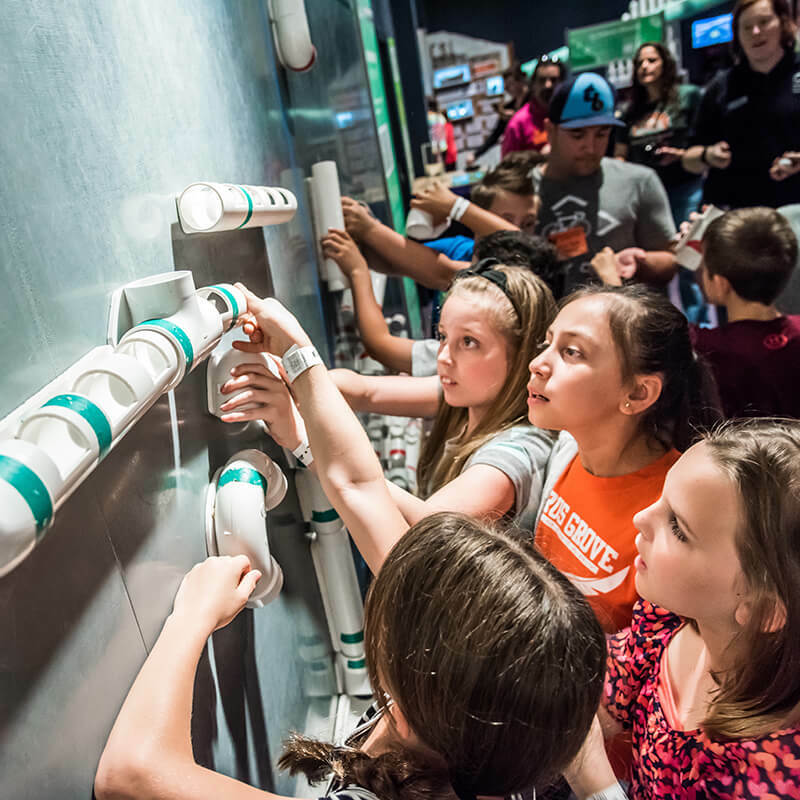 Observatory Experience – Peer through Florida’s largest publicly accessible refractor telescope by upgrading your field trip experience with a visit to the Crosby Observatory! Includes observatory access, a film, and exhibits. 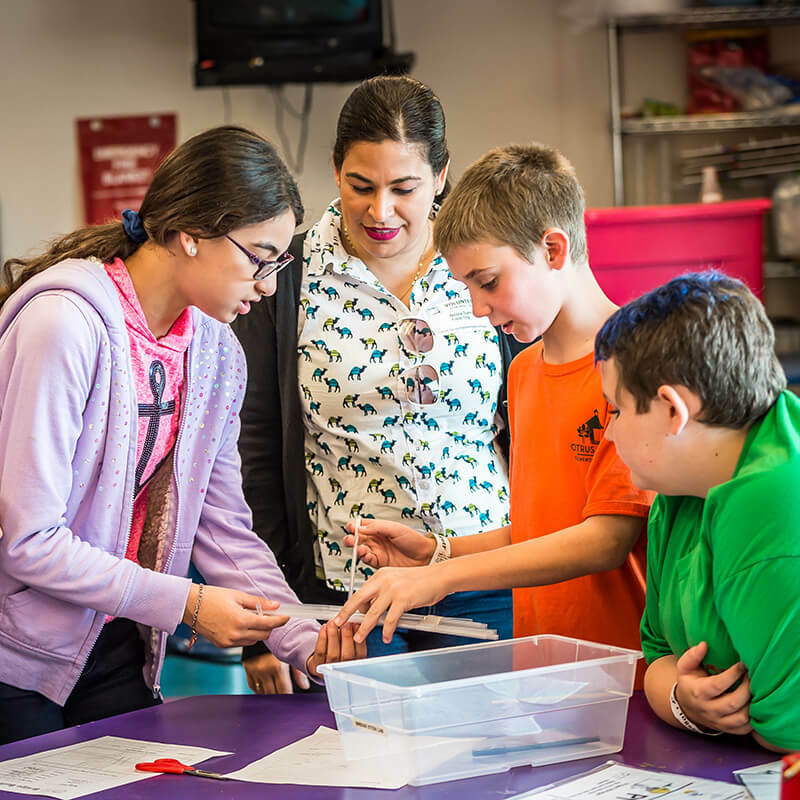 Adventures in Engineering – Students will work together in various STEM challenges starting in a 90-minute lab and progressing to the exhibit floor for an engineering design challenge! Flight Lab Experience – Take flight and embark on a virtual reality mission using Oculus headsets to follow a flight plan! Includes Flight Lab Experience, a film, and exhibits. Each experience is $14 per student and adult. Extended day add-on is available for an additional fee. 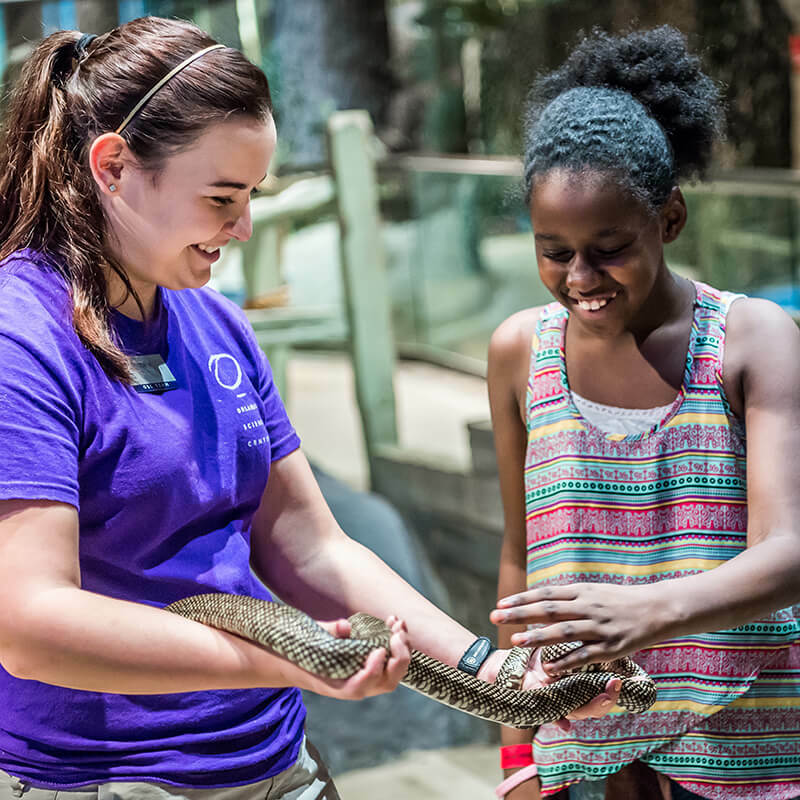 Orlando Science Center schedules field trips every day of the week, excluding Wednesdays. Once a request has been received a member of our Reservations team will reach out to you to confirm your requested dates. Field trips are not finalized until our Reservations Department contacts you to confirm. We require at least two weeks’ notice to book a field trip. A minimum group of 15 students is required to receive our field trip rate. Groups of 15 or more will receive one complimentary entrance for the Lead Teacher; plus one Free Chaperone for every 10 paying students. Teachers are included in the chaperone-to-student ratio. An additional fee will be applied to any adults outside of the 1:10 ratio. Chaperones with a valid Orlando Science Center membership may apply their membership towards field trip admission. A copy of the membership card and photo ID will need to be presented during field trip check-in. The memberships cannot be applied towards student field trip admission. Groups may be scheduled to eat indoors in the Club House, or outdoors in the park. The Club House offers limited seating and is reserved on a first come, first served basis. The park offers a shaded picnic-style space for students. In the case of inclement weather, alternate accommodations will be made. Lunch is not included in the cost of the field trip. Groups may purchase boxed lunches from Subway for an additional fee. Subway purchases require at least two weeks’ notice. Groups are not permitted to eat in Subway Cafe. Field trip groups will be greeted on Level 1 at the Science Center entrance off of Camden Road. There is limited free bus parking along 17-92/Mills Ave. Car parking is available for $5 per vehicle in the parking garage across from Orlando Science Center on Princeton St. Upon arrival the Lead Teacher will provide the final student and adult count. Large groups will be split into multiple cohorts to maximize your time at the Science Center. Please organize and assign your chaperone groups before you arrive based on the information sent out by our Reservations Department. Each field trip itinerary is dependent on your requested activities and number of participants. All guided field trip experiences will include a live show or Discovery Lab, film, exhibits, and a scheduled lunch time. Groups will have a prearranged schedule provided by our Reservations team. Field trip groups must abide by their set schedule to ensure an enjoyable museum experience for all. We offer an unguided experience for groups who do not wish to follow a predetermined schedule. This option is available for an additional fee. A 20% non-refundable deposit or $50 (whichever is greater) is required to book a field trip. The deposit must be received by Orlando Science Center’s Reservation Department within two weeks of booking. If you are booking a trip within two weeks, the deposit is due at time of booking. Final payment is due upon arrival at Orlando Science Center. Payments can be made with cash, check, credit card or purchase order made payable to Orlando Science Center. A cancellation fee equal to the non-refundable deposit amount will be applied to all groups requesting cancellation after the field trip confirmation has been sent by Orlando Science Center. All cancellations made two weeks or more from the scheduled field trip date will receive a refund of collected monies minus the cancellation fee. No-shows and cancellations made less than two weeks prior to the field trip date will forfeit their refund. The first step in booking a field trip is to complete the Reservation Request form. Please Note: Your field trip is not confirmed until you have received a confirmation email from our Reservations Department.